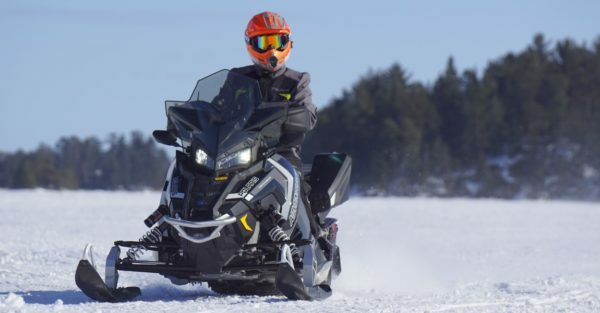 Riding an ATV, snowmobile or other off‐road vehicle (ORV) can be an amazing outdoor experience, but before you hit the trails, make sure safety is part of the plan. Off‐road vehicles should be operated using proper techniques and procedures to prevent serious injury or death. For fun and safe recreation on an ORV, be sure to follow these safety tips. Prevent water from collecting near your foundation by installing 6 foot downspout extensions. Landscape a natural slope away from the house for water flow. Check yard drains, culverts, gutters and downspouts to be sure they are open and clear of debris so that water is channeled away. Before you drive a car, you take a safety course, so why should driving an ORV be any different? Safety courses educate riders of the correct way to operate and ride an ORV to ensure he or she knows how to handle the vehicle. Also, safety courses will teach riders of all ages the appropriate behavior when riding an ORV, making it critical for teens and young adults to attend. Just like operating a motorcycle or bicycle, riding an ORV requires you use proper protective gear. ALW AYS wear a helmet. Most serious or fatal accidents occur when the rider is not wearing a helmet and falls on their head. Helmets may not be the most stylish accessory, but they can literally save your life. Also, since most riders operate ORVs in wooded environments, be sure to wear proper eye protection, as a rock, branch, or even a bug can fly into your eye and cause damage or distraction. Furthermore, be sure to wear boots and gloves to protect your hands and feet while operating the ORV. Do a pre‐ride inspection every time. Check the tires or tracks for wear and rims and skis for damage. Look over your controls and make sure connections and cables are intact. Check the chain or for worn links and sprockets for broken teeth and ensure there’s enough lubrication. Unless you’re riding an ORV equipped for two people, only one person should ride at any time. No piggy‐backing or side riding on ATVs, as they are designed for only one rider at a time. Also, the ATV may be unable to successfully hold the combined weight of two riders, making it less stable and more prone to roll over. Finally, having an additional rider can distract the driver from the task of properly operating the vehicle. Participating in any sport or activity where accidents can and do happen, it’s never a good idea to do it alone. Always have a riding buddy and better ‐ have two. Running out of fuel, getting lost or crashing is never any fun but it’s worse and can be life threatening if you’re alone. Besides, who wants to ride by themselves? Grab some friends and make a day of it. Carry a communication device with you at all times. ORV riders should be sure to carry a cell phone or walkie talkie with them at all times so that they can call for help in the event of an emergency. This is especially true if you are riding alone, which is not encouraged, so that someone will be able to find you if you become injured. Whenever you plan to ride your ORV, you should either have another individual with you or notify someone of where you are going and when you plan to return. When it comes to where to ride your ORV, ensure you choose a proper setting. Avoid roads and streets, since ORVs are not designed nor intended to be driven on concrete or asphalt with larger cars and trucks. Also, avoid improper terrain that may encourage the ORV to roll over due to instability in the ground. ORVs are designed to go a certain speed safely. Increasing the speed ‐ especially through certain terrains ‐ decreases your control and the vehicle’s stability, making you more prone to have an accident. The most injuries on ORVs occur when the vehicles are operated improperly. Take great care in riding your ORV and be sure to avoid any tricks or stunts that will encourage an accident. Furthermore, avoid improper interaction with other individuals, whether they are on an ORV or not. Many adults find themselves tempted to operate an ORV while under the influence of drugs or alcohol. Even over the counter or prescription medications can impair your reaction time, thinking process and judgment, so be sure to avoid operating an ORV during this time. Just like drinking and driving, alcohol and ORV driving does not mix. ORV riding is actually a great way to exercise. It demands strength and mental acuity. Overtime however, those bumps, jumps and tight corners wear down even the strongest rider. If you can feel fatigue setting in, stop and take a break. Even if you don’t feel tired, if you’ve been riding all day, take a break, rehydrate and fuel up with a snack or meal. This final safety tip is by far the best. Your common sense can carry you a long way, especially involving your safety.